UPDATED: Wed., Feb. 6, 2019, 2:05 p.m.
Spokane-area libraries are adding to their growing collection of outdoor gear. Starting in March, library members can check out a Discover Pass from libraries in Spokane and Spokane county, said Amanda Donovan, the director of marketing and communications. 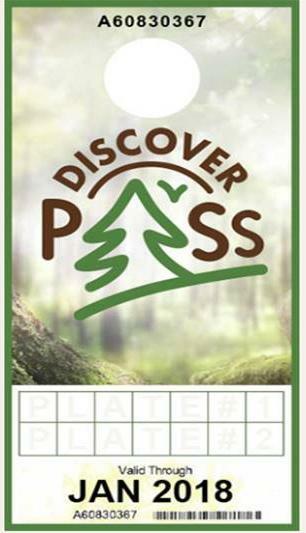 Six discover passes will be available, one at each library branch. The passes will come in a backpack with binoculars, maps and field guides. The passes may be checked out for a week at a time. The passes are part of the library networks’ growing Library of Things, Donovan said. That includes snowshoes, bird watching books, environmental weather meters, metal detectors and more. The passes will also be available at the Piece Country Library, and the Mount Vernon Public Library. Discover Passes are required on state-owned land throughout Washington. The $30 annual pass normally requires a license plate to be valid. However, the ones checked out by libraries will not need a license plate and may be used with rental cars. Starting in March customers can go to spokanelibrary.org and search for Discover Pass in the catalog to put one on hold and pick it up at any of Spokane Public Library’s six branches. Published: Feb. 6, 2019, 1:55 p.m. Updated: Feb. 6, 2019, 2:05 p.m.